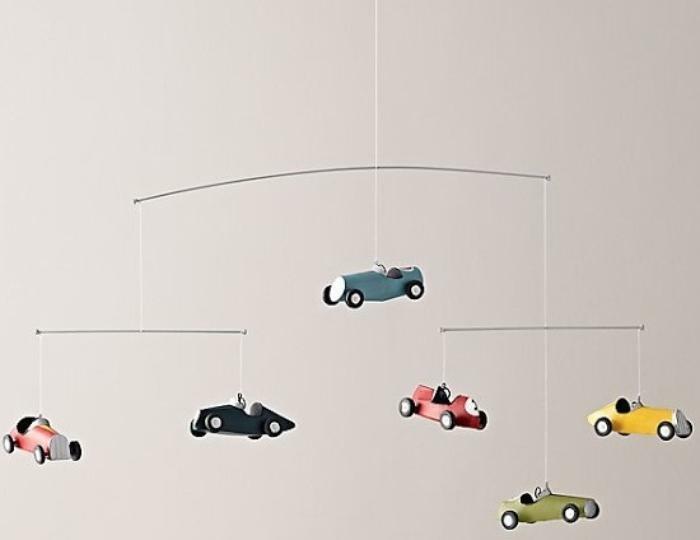 Restoration Hardware (RH) of Corte Madera, Calif., is recalling about 1,000 RH Baby & Child vintage car mobiles. The company has received one report of a wheel detaching from the mobile. No injuries have been reported. The mobiles, manufactured in China, were sold at RH Baby & Child stores nationwide and online at RHBabyandChild.com from October 2014, through October 2016, for about $50. Consumers may contact RH toll-free at 888-728-8419 from 8 a.m. to 5 p.m. (PT) Monday through Friday or online at www.RH.com and click on Safety Recalls at the bottom of the page for more information.